Recent advancements in electric vehicle batteries now allow them to deliver more power and require less frequent charges. But as a result an increasing challenge is to design an effective cooling system that will need to be able to transfer heat away from the battery pack as it is charged and discharged at higher rates. The reason is simple: because batteries are only manufactured to work between certain temperature extremes, they will stop working if there is no cooling system to keep it in its working range. What is more, a significant internal temperature difference can lead to different charge and discharge rates for each cell and deteriorate battery pack performance. 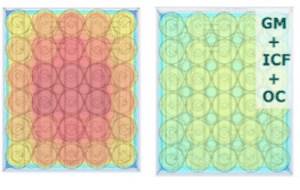 To prevent this, AKG collaborated with two German universities, FH Aachen and RWTH Aachen, to find the best combination of active and passive cooling technology for a 48-V high-power battery module. The research used computational fluid dynamics and finite element analysis to test various configurations. The goal was to find a solution to keep the average temperatures of individual cells—not just the average temperature of the battery module—between 59 F and 104 F. Analyses included 280 W, 560 W, and 840 W heat generation rates. Along with maintaining an ideal temperature range, maintaining a small temperature gradient across each cell would further improve the outcome. 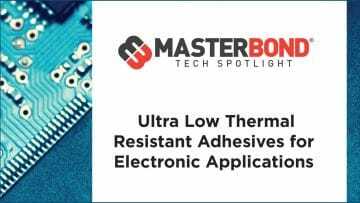 Researchers found that for an ideal temperature gradient across the battery, use of a combination of side-cooling, inter-cell cooling, and thermally conductive fill material worked best. 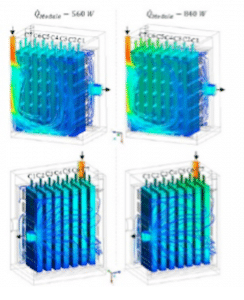 They used active cooling with water-glycol on the sides of the cells, and passive internal cooling plates and reported that both temperature maximum and temperature gradient were managed cost-effectively. The addition of a suitable fill material for high-power battery applications significantly improved the heat transfer to the cooling system, allowing the design to exceed its goal, according to the researchers.